Situated in Konakli, just 10 min walking from the centre with a small selection of shops, bars and restaurants. 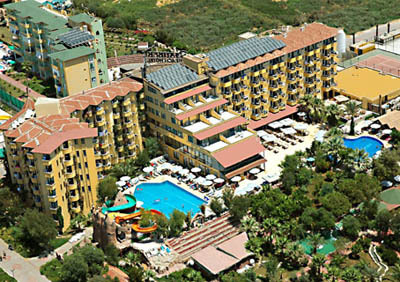 The resort centre Alanya is just 13 km, Antalya airport 120 km away. 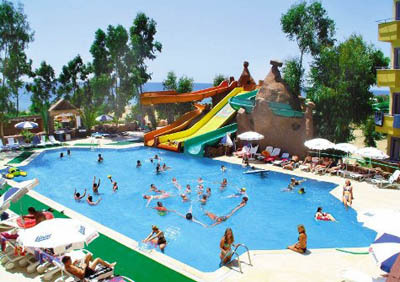 Situated directly on the sandy/pebbly beach. Sunbeds and umbrellas available free of charge. 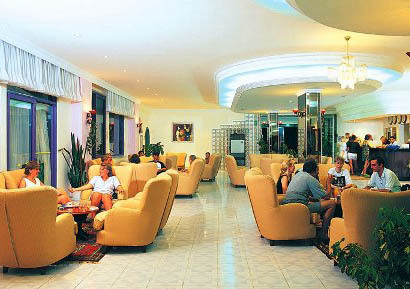 Unlimited soft and alcoholic local drinks between 10.00 -23.00. 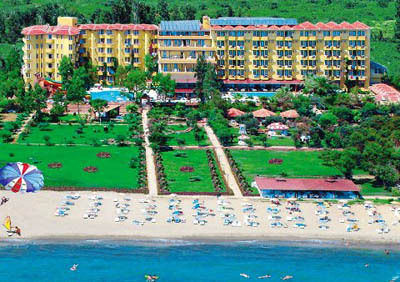 Open buffet breakfast, lunch & dinner, during a day variety of a snack served, night snack.